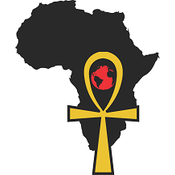 We at Afrikan Unity Initiative, Inc. are dedicated to the pursuit of educating people and the attainment of social equality. We believe that success is greatly owed to those educators who take the time to nourish their students. We model a pay it forward form of activism by providing care and quality learning to the next generation. As a product of a low-income community, I had become weary of organizations coming with their “sympathy campaigns”. Many have good intentions and truly mean to help; however, sympathy has an inherent connotation and outlook of superiority. This separates those who attempt to assist from the people in need. Having this background knowledge I have been able to build relationships with my students and members of the communities in which I work in order to show sincere empathetic intentions. An attempt to help without an understanding of the issues from the roots and without the input of the people to which the help is intended is in vain. Afrikan Unity Initiative, Inc. truly represents the needs and desires of the PEOPLE.